What a beautiful clear picture. 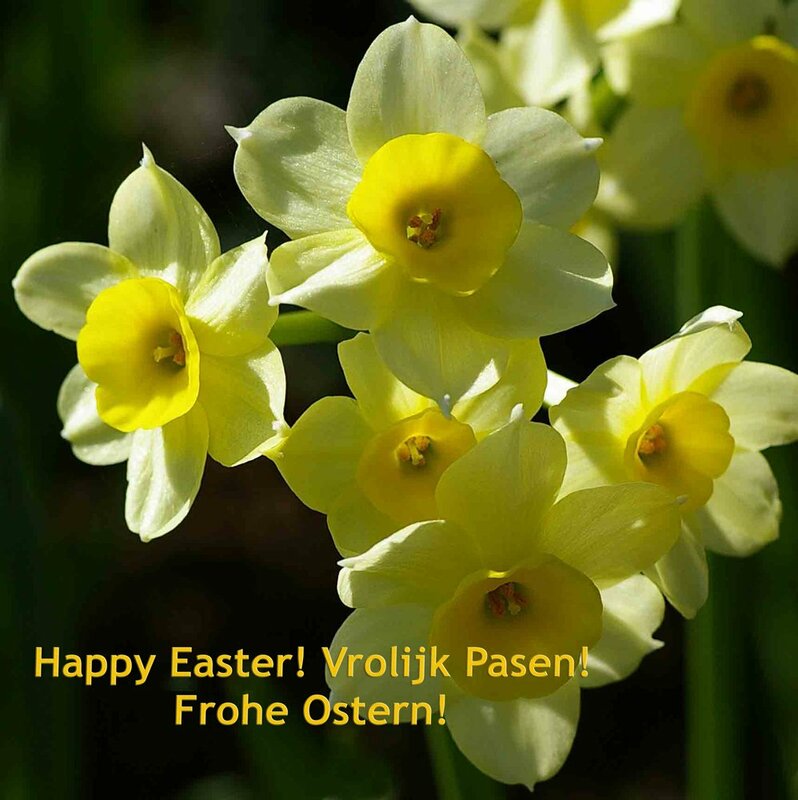 Vrolijk Pasen to you and Tina. Beautiful Spring image . A very happy Easter to you and Tina . Dank U wel. ook een paar fijne Paasdagen gewenst. Happy Easter to you too Ivan, hope you're enjoying yourself! Fav. Wonderful shot, colours and lighting. Too late to say 'same to you'. Our Easter was passed in Andalusia, Spain, without an Internet connection. Will post some of the over 1000 shots I took there; but have a long task to have them all processed. What a lovely square of Easter brightness. Thank you for your greetings. I hope yours was enjoyable.